Film director Bruce Brown speaks onstage during 'The Endless Summer' screening during day 3 of the TCM Classic Film Festival 2016 on April 30, 2016 in Los Angeles, California. 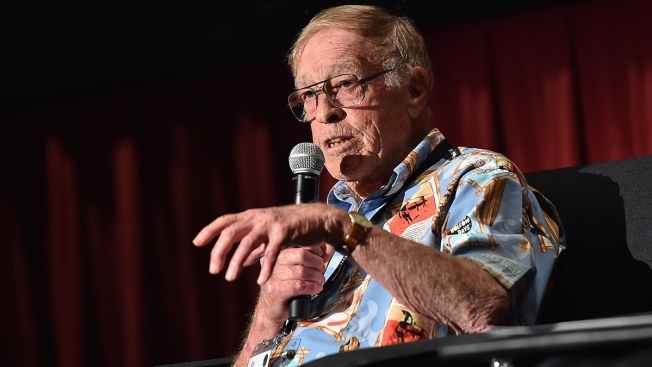 Bruce Brown, director of the classic surfing film "The Endless Summer," has died. He was 80. The general manager of Brown's film company Alex Mecl says Brown died Sunday in Santa Barbara, California, of natural causes. Brown and his 1966 documentary "The Endless Summer" created the modern image of surfers as spiritual seekers on a quest, rather than thugs or buffoons. And, along with the Beach Boys, he took surfing from a quirky hobby to a fundamental part of American culture. "Endless Summer" was actually Brown's sixth surfing film, and like all the others it was shot on a tiny budget with Brown performing nearly every duty, from camera man to narrator. The film follows two surfers as they hop hemispheres to constantly surf wherever it is summer. Their charisma and the film's beauty made it an unlikely hit.